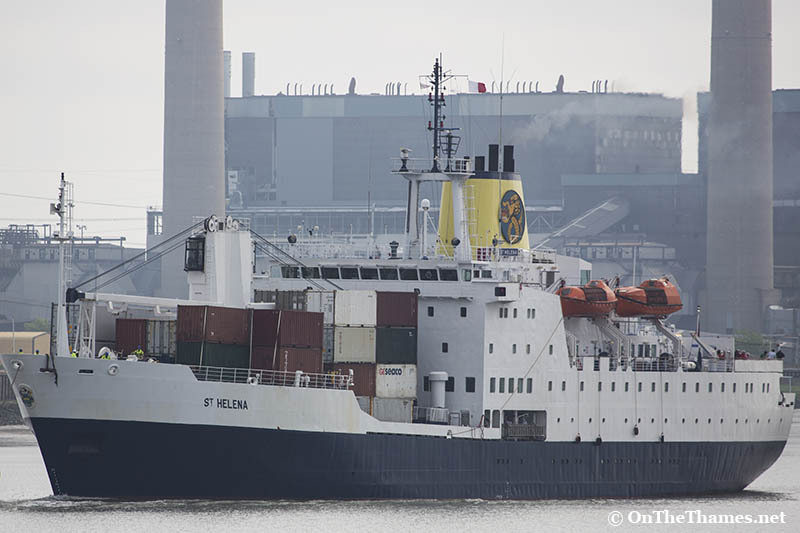 ROYAL Mail Ship (RMS) St Helena arrived on the Thames yesterday as part of her farewell tour. 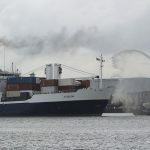 The passenger and cargo ship has been the only means of accessing the remote island of St Helena in the South Atlantic but the opening of a new airport is forcing her retirement after 26 years of service. The 105 metre long vessel is the last working Royal Mail Ship in the world and was built in 1989 specifically to supply the island which is 1200 miles off the west coast of Africa. 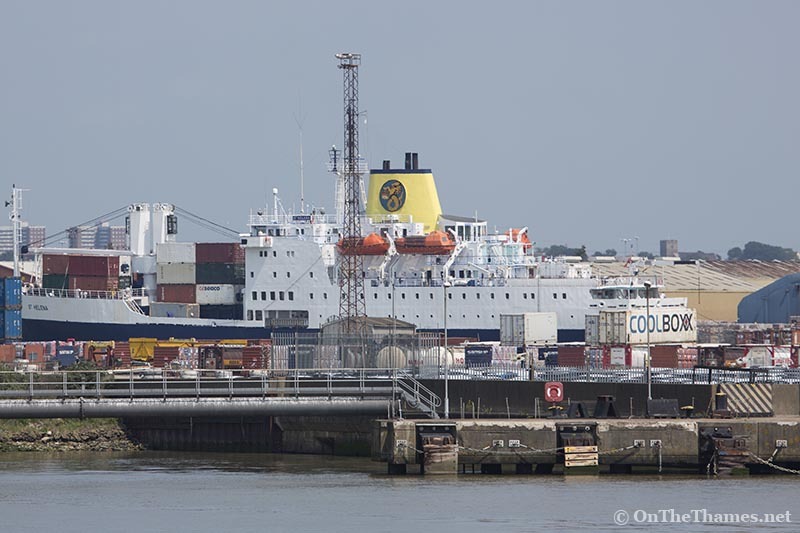 RMS St Helena sailed up the Thames yesterday and entered Tilbury Docks where she remains until Tuesday afternoon. She will then go up the river and sail through Tower Bridge at 1645. 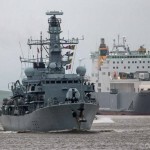 The Princess Royal, Princess Anne, will attend a reception on board the ship on Wednesday and St Helena heads back down the river to Tilbury on Friday afternoon. Great Pics of the RMS St Helena! Fond memories of our voyage to St Helena on this ship in Feb 2016. Visiting her on Saturday. A trip with nostalgia. 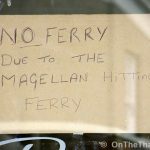 Our first sea trip in 2009 when the ship was also coming to the UK. We did it then because we wanted to visit St Helena whilst it was only accessible by sea. The then government were due to sign up for the airport and at the last minute it was cancelled, due to the ww recession. If they have to lengthen the runway the ship may get more than a few months extra. Amazing to see her in London. Heard so many tales from the island from my friend Teena!! Amazing history. Travelled on the RMS March 2013 from Ascension Island to Saint Helena what a fantastic experience and a privilege to have been aboard this ship and to be taken to one of the most remote lslands on the planet. On thereturn journey to Ascension I was again so privileged to have been allowed to blast the ships horn to awake the islanders and make them aware off the ships arrival. what memories I have and I will be t Tillbury docks on Saturday “carn’t wait”. I sailed on the R M S with my eldest brother in 2007. a most memorable trip. A few problems prior to sailing but a super ship and crew. I am heading over to see RMS St Helena later. I teach Travel and Tourism at PAS via VC so this is really special for me – I will of course be using my soon to be acquired selfie in my lessons! My wife Mary and I plus our 3 children sailed from Cape Town to Cardiff Docks on board the St. Helena in July/August 1987. The voyage lasted 3 weeks and we visited St Helena, Ascension Isles and Tenerife en route. We decided to return home in style after living and working for 13 years in South Africa, Mauritius and Botswana respectively. In 1976, I met my wife in the Irish Club, Johannesburg and we married later that year ( we will have been married 40 years on 14th. August). Our children were born in Mauritius and Botswana. We have happy memories of our voyage aboard the St Helena. My mum (now 96) Joan Hepplewhite and her cousin Greta Murphy, both born on the island and UK residents went back on the RMS St Helena in summer 1987. I wonder if they were on the same trip as you? I did the return journey from Cape Town to St Helena in February this year. It brought a smile to my face seeing the RMS on the news yesterday. The end of an era. Safe journey back guys and well done to you all for all the hard work that you all but in to making everyone safe and a good voyage possible goodbye and good luck. My mom, dad, brother and I sailed on her in 1993 from Cape Town on our way to our new life in the UK. I have such fond memories of this trip and always wanted to do it again with my own family. Alas that will no longer be possible. I was the Customs Advisor on St. Helena with my wife and two children from 1988 to 1989 working with Dougie Bennett, Johnnie Carter and Barry Rat. We flew to Ascension with the RAF then joined the old RMS to St. Helena then to Cape Town a year later. 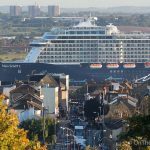 I visited the new RMS when she was finished in Aberdeen then in Cardiff on her maiden voyage. I think ‘Schoolbus’ was on board. 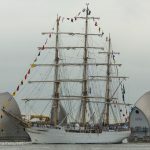 I travelled to London on Wednesday to see her alongside the Belfast and so disappointed not to get tickets to go on board at Tilbury Landing Stage on Tuesady 14th. May have to just look at Tilbury then go down the pier at Southend to say a last farewell. Can’t believe the airport has finally arrived and the RMS will be no more. God bless her. David, I remember you and your family on St. Helena. Sandy and I taught at PAS from 1988 to 89, the first year it opened, before moving to Ascension to work for the BBC. I remember the old RMS with fond memories having served 8 years as an engineer on her including the Falklands War. 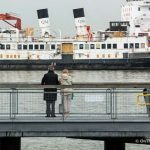 Sad to see the “new” RMS go off line – not only the last mail ship in the world but to some extent an end to part of the maritime history for a maritime nation i.e. St. Helena. As you say God bless her. I would like to see the St Helena, hopefully when she passes Canvey Island on her way out to sea. Can anyone give me a rough idea of the time she will be leaving Tilbury on Tuesday please ? Due to wind shear the airport on St. Helena is not open and may never open according to the press. Being a 60+ year collector of St. Helena stamps, and interested in the various South Atlantic Islands’ histories for nearly that long, I thought it was wonderful to find this article about the ship. 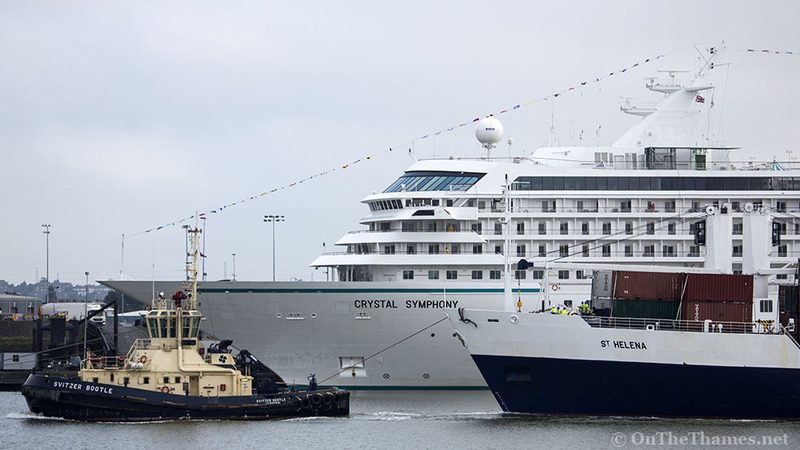 Raising the level of elation is the Tilbury picture with Crystal Symphony in the background as we have sailed on her 8 times in various parts of the world over the past 15 years!